ZERO is an upcoming Indian Hindi language romantic comedy-drama film directed by Anand L Rai. The movie stars Bollywood Superstar Shah Rukh Khan, Katrina Kaif & Anushka Sharma in the lead roles. Zero movie is jointly produced by Anand L Rai & Gauri Khan under Red Chillies Entertainment & Colour Yellow Productions banner. 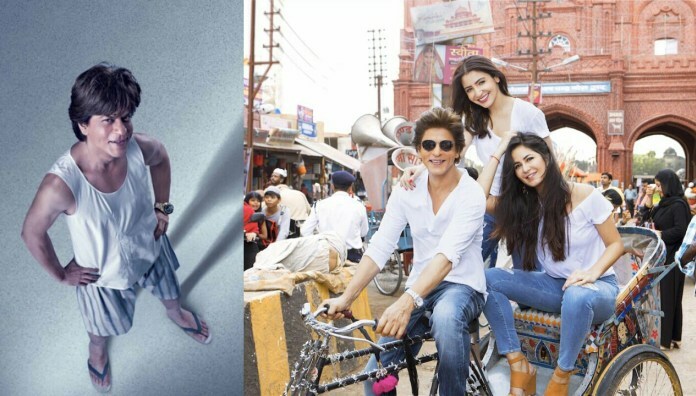 Shah Rukh Khan’s Zero movie story revolves around Raj, a man of short stature (played by SRK), who falls in love with a Superstar, played by Katrina Kaif. The film’s second leading lady Anushka Sharma plays the role of a girl with Intellectual Disability. Zero is the most expensive movie in Shah Rukh Khan’s career and also one of the most costliest movie ever made in Indian cinema. Zero movie budget is whooping Rs 150 crore. Zero movie is scheduled to release on Dec 21st 2018 to cash in the Christmas weekend. The film will also have a simultaneous release in Telugu and Tamil. Zero movie shooting was commenced in May 2017 and it will be wrapped up by July this year.